Jenny Ingram is a mom to three kids, living in the Pacific Northwest and she knows a thing or two about the mom shaming game. Check out her video. 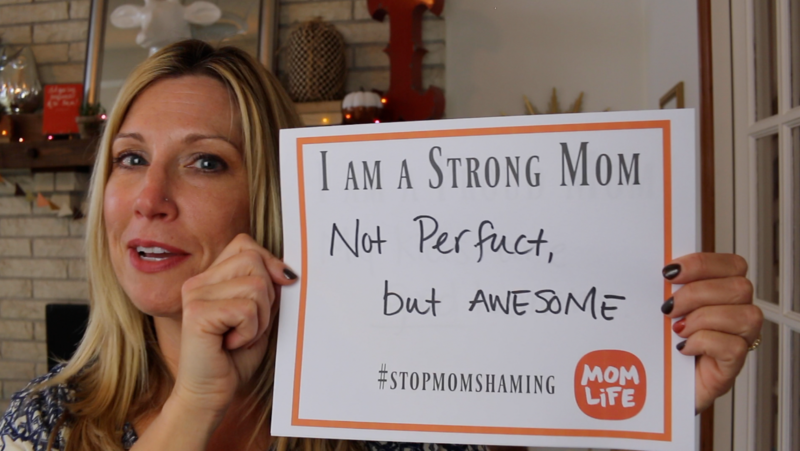 We're so gratefuly to Jenny for lending her voice for the #StopMomShaming movement. Check out how you can join the movement – share your stories, download our PDF's to share your strong mom, proud mom affirmations and turn the tide on shaming. Make sure to use the hashtag #StopMomShaming so mom.life can help amplify your messages and stories. When visiting Jenny on the Spot, take a moment to sit back, sip some hot coffee (or tea) (or something yummy) and enjoy! Here at Jenny On the Spot we (Jenny and her alter egos) strive to entertain! We hope you’ll find yourself laughing, learning, laughing, crying, and will find this little home online to be a place to escape.